Is the Olympus E-M10 MIII good for Carrying Everywhere? 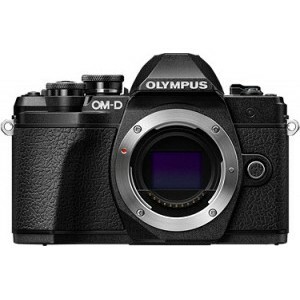 Olympus E-M10 MIII has a score of 71 for Daily Photography which makes it a GOOD candidate for this type of photography. Olympus E-M10 MIII will satisfy most of your needs, but if you are looking for a camera that is even better suited to Daily Photography, we recommend you to check the Alternative cameras at the bottom of this page. Large sensor in Olympus E-M10 MIII ensures a good low light image quality compared to smaller sensor, and it also provide shallow depth of field and a nice blurry background when needed. With relatively smaller body compared to DSLRs and better ergonomics compared to Compacts,Olympus E-M10 MIIIis a good compromise between size and functionality. With a thickness of 50mm,Olympus E-M10 MIII is not a pocketable camera for sure.